Stitching diagrams and directions for making borders fit are among the helpful hints included. 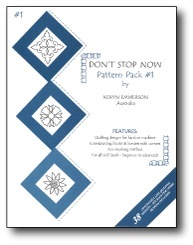 Keryn offers you these patterns as a starting point for your own creations. Arrange them in new combinations. 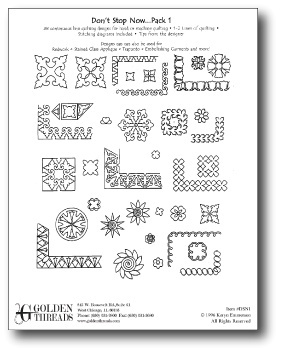 Use the stitching diagrams on miniature quilting projects to personalize your quilts. Just remember - Don't Stop Quilting!